I LOVE my new phone! This is my second Samsung Galaxy product and it’s a big upgrade since the other one is a Nexus. We picked up the Nexus in August 2012 and I spent the evening and much of the following day learning the basics and finding information about smart phones in general and specifics about the Nexus. Or as our little Prince called it the “Nuke-sus“. We received an offer for a free upgrade on one of the business phones and since I’m the one answering that number, I was the one who got to pick out the new phone. After talking to people and playing around with the iPhone for a while in the store, I decided Samsung is not only a better deal; it’s a better phone! So I’m the proud owner of a brand new Galaxy S5! Of course with all the new things it can do, I’ve had to learn a few things. Being the teacher person I am, I like sharing what I learn in hopes someone else out there will find it help and overcome their frustration a little more quickly than I might have trying to find an answer. Oh and I LOVE sharing my reviews of new apps I’ve found and fallen in love with. I have several of those to add! There are many apps I’ve fallen in love with. And it really is true that if you want or need something to help you during your day or life – There IS an App for that! There’s also a lot of things this phone can do that you might want to do, but that aren’t real intuitive. So I’ll share a few things I’ve learned too. My best rating is 5 ☆☆☆☆☆s. The worst have negative stars -☆. And there are a few who are in between. Flashlights: The First App You MUST Add! Getting/Making Your Favorite Android Sounds. First the websites. There’s one in particular that I’d highly recommend for any Nexus user. And what made it better for me was..it comes from Jamie and Adam of Mythbusters fame, their the guys at Tested! 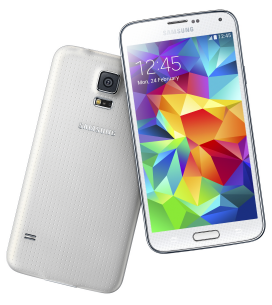 Once again the guys at Tested have come through for helping you set up your Galaxy S5. There are some great suggestions and some you may decide to skip. From the guys at Tested: You may not use all these tweaks, but most of them are designed to keep your phone secured and safe. They’re worth the read. If you have a question, this is the place to ask or search for an answer. I found a ton of help for little questions to big ones! Another decent smart phone forum. It’s for androids in general, so you may need to search for topics specific to your phone. If you want an app, but you’re not sure what it’s called or which one to get, go to the Play store online and search for it. Do some research before you download it onto your phone or pay for something you don’t want. The most important link you’ll need. The online manual for your phone. This entry was posted on May 09, 2014 in GalaxyTech and tagged springwolf, kosmos, harmony, order, creation, information, technology, cell, phones, setup, application, reviews, nexus, s5. Android Central is one of the resources listed on this page already. sorry you are correct! thanks again! any updates on Samsung new phones? I’m still using the Galaxy S5. It will be a little longer before I upgrade again. But when I do, I’ll add my personal experiences here.